This brand is based in Australia and is bringing you a diverse mix of unique and colorful vintage clothing from all eras (50s 60s 70s 80s 90s - Mod, Hippie, Grunge, Boho, Kitsch, Kawaii, Avant Garde, etc.). All styles and sizes. What is amazing about it that it's updated on a weekly basis. 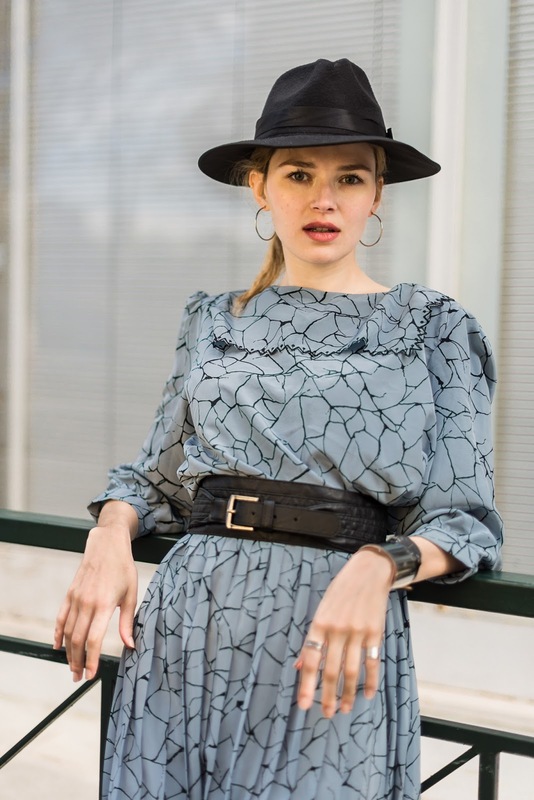 I chose this beautiful vintage dress from there :D Also you can find shoes, bags, vintage dresses, tops, shirts, pants, skirts, sweaters, cardigans, jackets, coats, vests, slips . lingerie, rompers . jumpsuits, swimwear, kids clothing, men clothing! Lovee this outfit!! Great style! You are always so stylish, I love your dress! Love how you've styled these leather leggings! Great idea, I really like the look!